It was a harder one to achieve but they nailed it. Nine wins. The best 9 of 12 scores count. 900 points. Well done you pair of pot hunters. 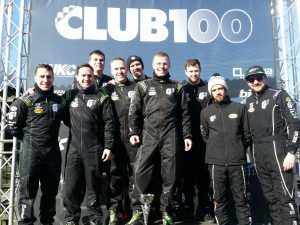 With the championship already decided in KyritsHicks Racing’s favour, their only goal coming into this race was to secure a win in order to get a perfect score of 900 (the best 9 races from 11 starts counting towards the championship). It was a healthy grid of 27 karts which was good to see. Big Cat Motorsport and Keen As Mustard were the highest gridded Class 1 teams for the first heat. 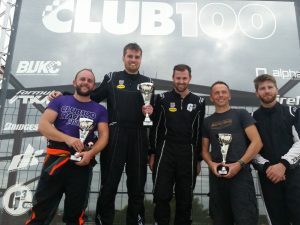 Down in eleventh was Clunge Racing who had hired newly crowned Premier Endurance champion Jordan Hill in order to try and close the gap to the top three in the championship. He would be one to watch. This indeed proved to be the case as he snatched the lead on lap three from Big Cat Motorsport. 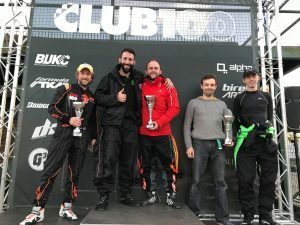 Both teams had made good starts and got into first and second on the opening lap. From there Clunge disappeared into the distance, leaving Big Cat to defend from Old Man Racing, G3Pro and the flying KyritsHicks who made their way up from grid nineteen. 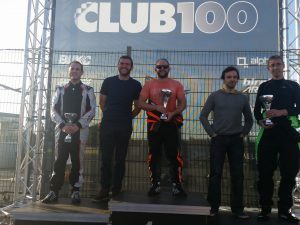 Having been bumped back at the start, Maxx MPH were on a charge and got up to sixth by half distance and began closing the gap to the battling quartet ahead. Sadly they ran out of laps. The battle in front was exciting as KyritsHicks weaved their way through and set off after the leader. However, they picked up a penalty for brutal assault on an innocent cone so would be docked a place at the end of the race. Despite making a move for the lead in the closing stages, KyritsHicks eventually settled for second behind Clunge. 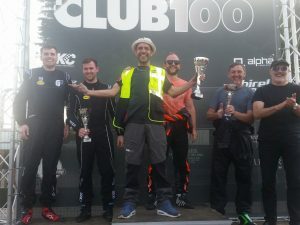 This obviously became third after their penalty and this meant that Old Men Racing took the runner up spot after managing to fend off Big Cat and G3Pro. Maxx MPH had closed to within a couple of seconds at the flag but had to settle for sixth. After such a strong start, it was looking good for the Old Men as they started on pole for race 2. Likewise for Clunge who started second on the grid. However, with KyritsHicks fifth and G3Pro sixth it wouldn’t be easy. There was drama near the back of the field as a few karts went off at turn 1. 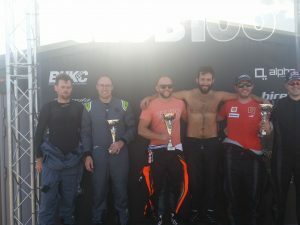 Old Men Racing held the lead for the opening four laps before being overhauled by KyritsHicks. Their race would come to an end a few laps later after a coming together with Scuderia GM at the boot. 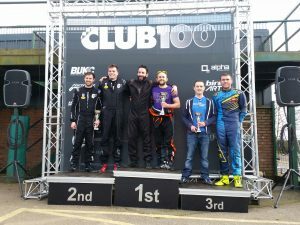 G3Pro had already got into second by this stage but this incident promoted Clunge to third and Big Cat to fourth, although class 2’s RA Motorsport was sandwiched between them. Chasing this leading group down as Maxx MPH Racing. A storming drive from grid 24 saw them in the top 6 by half distance. Closing on the leaders, they soon got passed Big Cat Motorsport and then dived down the inside of Clunge as they attempted a move on RA Motorsport. By this stage, KyritsHicks had a sizable lead over G3Pro who had now been caught by Maxx MPH. Lap 21 saw the pass completed and they set after the leaders. Despite closing the gap, there weren’t enough laps left to get close enough. So it was a win for the champions and a mightily impressive second place (even if I do say so myself) from Maxx MPH. G3Pro were third. Maxx MPH found themselves fourth on the grid and highest Class 1 team for race 3. M&M, Slickspeed and Keen As Mustard were close behind and with KyritsHicks, G3Pro and Old Men Racing starting near the back, it looked like being an interesting race. M&M made a great start and got into the lead early on, followed by Maxx MPH. These two held position for most of the race. 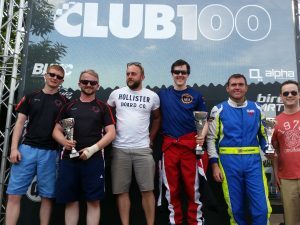 However, KyritsHicks and Clunge were unsurprisingly making great progress and soon got past the battling group of karts led by Racecraft. Keen As Mustard, Big Cat Motorsport, Old Men Racing and G3Pro were all in an intense battle which allowed the leaders to pull away. Back at the front and M&M had pulled out a big gap over Maxx MPH who, by lap 20, had KyritsHicks breathing down their neck. They got past on lap 22 but were too far back to make a serious challenge on the leaders. So M&M took the win followed by KyritsHicks. Maxx MPH continued their successful day in third. Clunge were fourth. 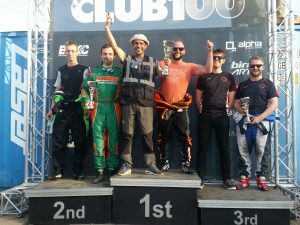 Racecraft held onto fifth from Keen As Mustard and a few seconds behind them was a train of karts with Big Cats, Old Men and G3Pro nose to tail in that order. It was another disappointing race for Scuderia GM who finished mid pack and had another penalty. Scuderia GM were hoping for a decent result in the final race and a grid two starting position was certainly going to help. They certainly made the most of their strong grid position and shot straight into the lead. KyritsHicks mad a good start to slot into second early on ahead of Racecraft, Old Men Racing, G3Pro and Clunge. Unfortunately, Maxx MPH Racing’s good day came to an end on the opening lap after getting caught up in the usual mid pack idiocy and dropping to the back. Scuderia GM held the lead for a long time but they couldn’t keep KyritsHicks at bay forever and on lap 22 they were passed. A lap later they were also passed by the flying class 2’s RA Motorsport but held onto second in class. G3Pro had broken away from the group behind this and settled into third. Behind them, Old Men, Clunge and Racecraft were at it again. The close battle raging on for much of the race. There were no concerns whatsoever for the leaders and KyritsHicks came through to take their second win of the day. Scuderia GM finally had something to smile about in second and G3Pro third. With two wins and a second, KyritsHicks did indeed take their ninth win in eleven starts. 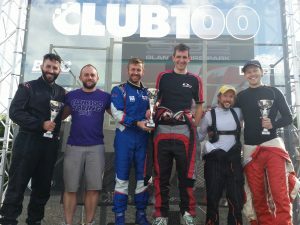 A win and two fourth places saw Clunge take the runner up spot. 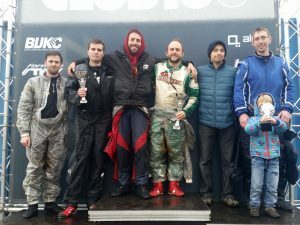 Maxx MPH Racing and G3Pro tied for points but, by virtue of the second place on befitting a true legend, Maxx MPH were awarded the third place overall. Epic.